Are you heading to Thailand for a family vacation? 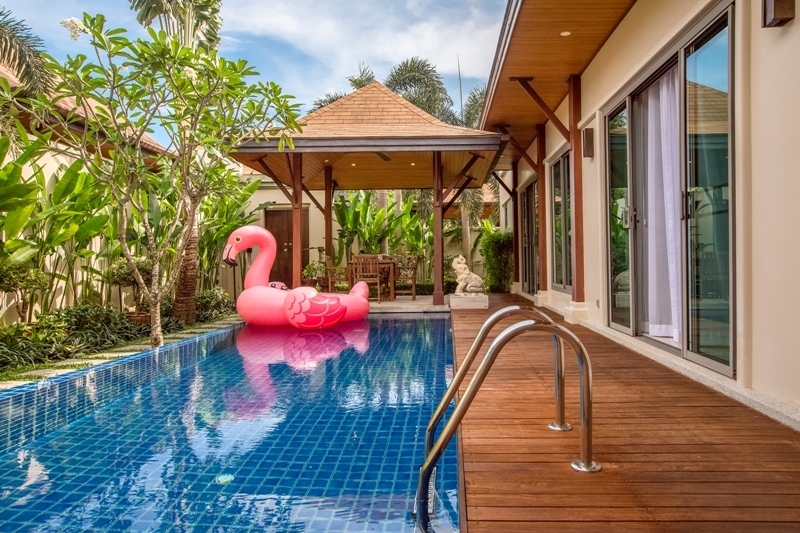 The best family pool villas in Thailand are the topmost choice for people, whether they’re independent travelers or vacating with their families. These luxurious villas offer an unmatched feeling of total intimacy, with the bonus of having a private swimming pool to chill during your holidays. Worried about the price? Well, luxury doesn’t always cost a fortune when you’re in Thailand. Have a look at our expert picks for the best and lavish beachfront family pool villas in Thailand, which costs under $230. Yes, you read it right! Under $230 and even less! Check them out and start planning a luxurious and unforgettable, yet affordable trip to Thailand! 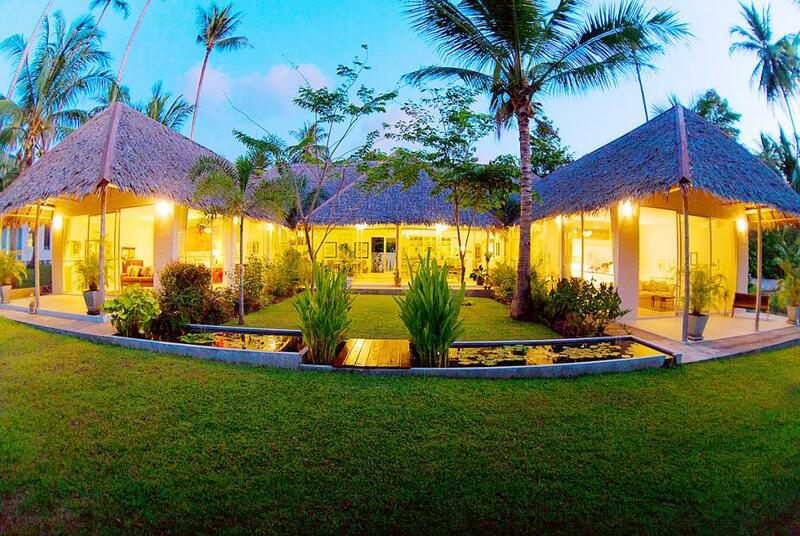 Enjoy the true intimacy, luxurious and an utmost level of comfort at Villa Solor. 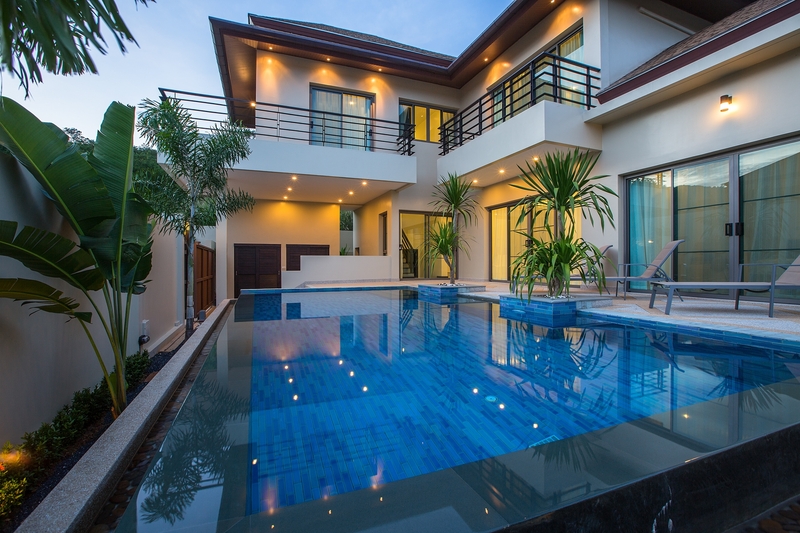 With a large pool stretched across the well-manicured garden, this new lavish estate lists among one of the best and most affordable family pool villas in Thailand. You’ll have amazing views of the ocean from three deluxe bedrooms of the villa. Luxuriously large en-suite bathrooms feature a double vanity, a bath, and walk-in showers. From a fully-equipped kitchen and two spacious dining areas to home entertainment and private terraces, you will get everything at this magnificent private villa. 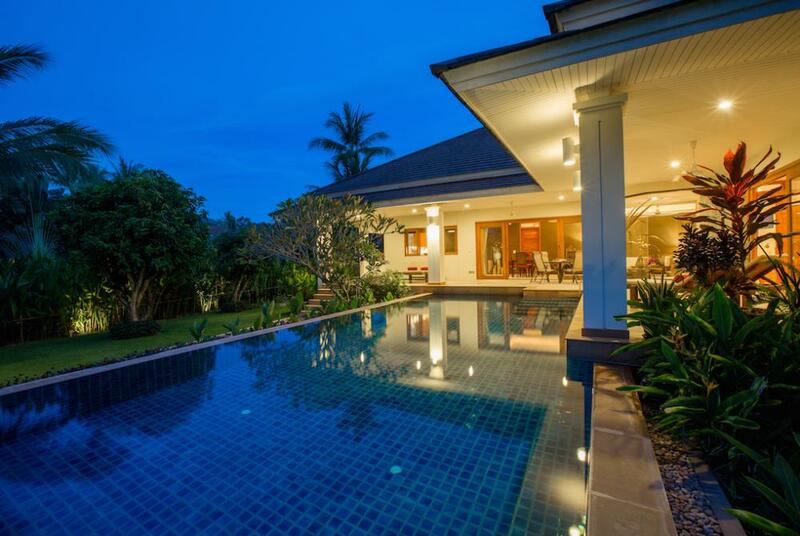 With an outdoor swimming pool and a shared lounge, this opulent villa in Lamai is settled near to Grandfather and Grandmother Stone and Lamai City Center. From the balconies, you could have a mesmerizing 180-degree view of the sea that will make your day. This two-bedroomed villa features a private terrace, balcony, plasma TV, and en-suite bathrooms fitted with a rain shower. 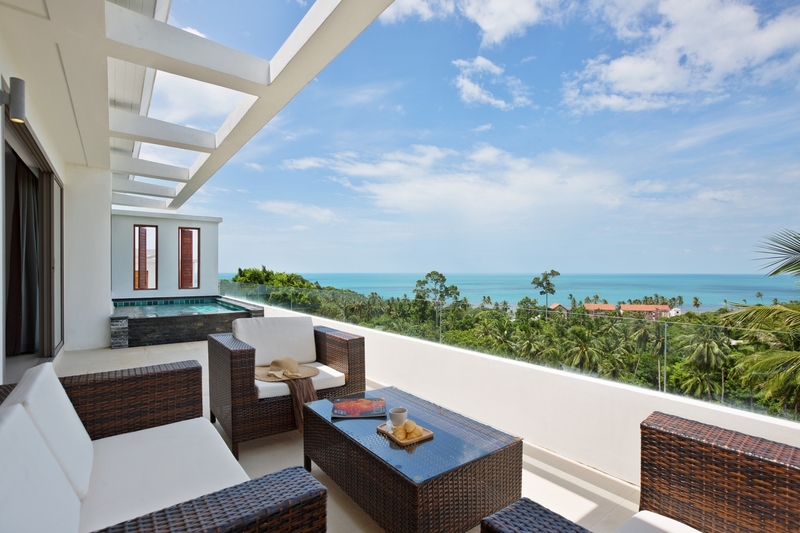 The plunge pool on the terrace boasts an infinity-edge style setup and is entirely kid-friendly. This gorgeous and affordable family pool villa in Thailand, with superbly large swimming pool, is ideally designed for families and couples seeking independent holiday with comfort and luxury. If a private family pool is what you’re looking for, you’ll get it here. Swim, sit back on pool chairs and have a rewarding experience watching long stretches of water in front of you. 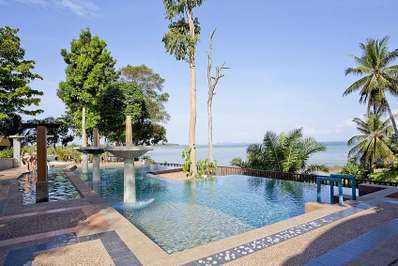 Baan Sansuk is an air-conditioned estate with two spacious bedrooms, a fully-equipped kitchenette, en-suite bathroom and a TV. A fitness center, private outdoor swimming pool, and your very own terrace are also available to you. There is a myriad of fabulous family pool villas in Thailand, especially when it comes to Phuket that offers numerous options for families traveling on a budget. This wonderful private villa is just 3 minutes’ drive from the Naiharn Beach, so all family members will be able to easily switch from swimming in the private pool to enjoying the sea waves at the picturesque sun-kissed beach, and vice versa. The Nai Harn area is ideal for families as it abounds with restaurants and shops, and stays tranquil and relaxing at the same time. Villa Buton has everything that your family might need to spend a perfect vacation: a private pool & and an outdoor area with sunbeds, 3 bedrooms with king-sized beds, 3 en-suite bathrooms, and a fully equipped kitchen. Moreover, it is air-conditioned and provides access to the free WIFI across the entire territory. 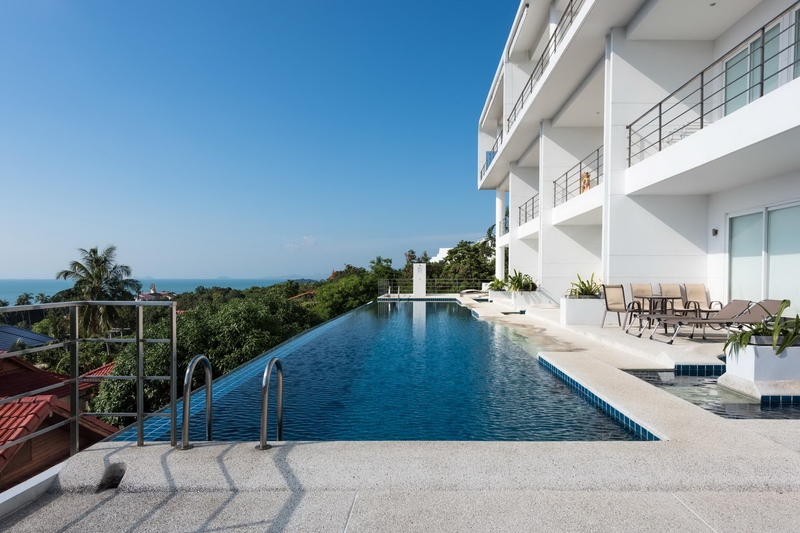 The Beach House Apartment offers spectacular and tropical sea and sunset views over Bangrak Bay, representing one of the top family pool villas in Thailand. Outside the apartment is a swimming pool on the upper level of the apartment, which is safe for kids as well. It’s a perfect holiday accommodation for families or groups of friends looking for luxurious property in a convenient location and with extraordinary tropical panoramic views. The upper floor has three double bedrooms. The master bedroom comes with a private balcony and a Jacuzzi bathroom. Other two guest bedrooms are equipped with a smart TV and an adjacent shared bathroom. 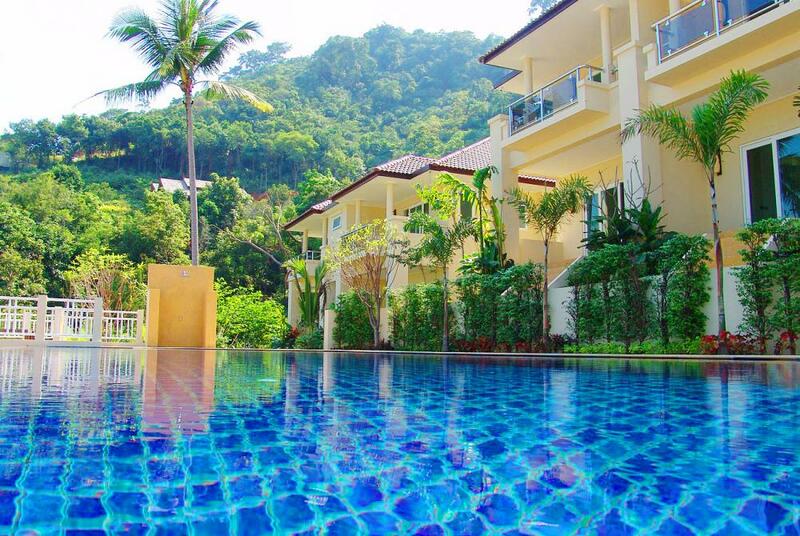 If you‘re looking for kids-friendly villas in Thailand, this estate makes an ideal choice. Indulge yourself in the real gorgeousness of Thailand at Baan Nai Sawaan. With an enormous narrow pristine pool stretched across the garden, this new lavish estate is settled in the center of Koh Phangan. It’s just 10 minutes away from all paradise beaches in north, south, east and west of the island. You’ll have amazing views of garden and lily pond from both deluxe bedrooms of the villa. Luxuriously large en-suite bathrooms feature a double vanity, a bath, and walk-in showers. From a fully-equipped kitchen and two spacious dining areas to the mod-cons for home entertainment and private terraces, you will get everything at this exclusively manicured secure Estate. Villa Som-O is influenced by Balinese lifestyle and its interior features natural wood, terracotta tiles and shades and open spaces. It has a 10 by 4-meter private swimming pool with infinity edges and sandstone sunbathing decks around the pool. The villa is fringed with tropical foliage and lush flowers, which makes it one of the most amazing yet affrodbale family pool villas in Thailand. 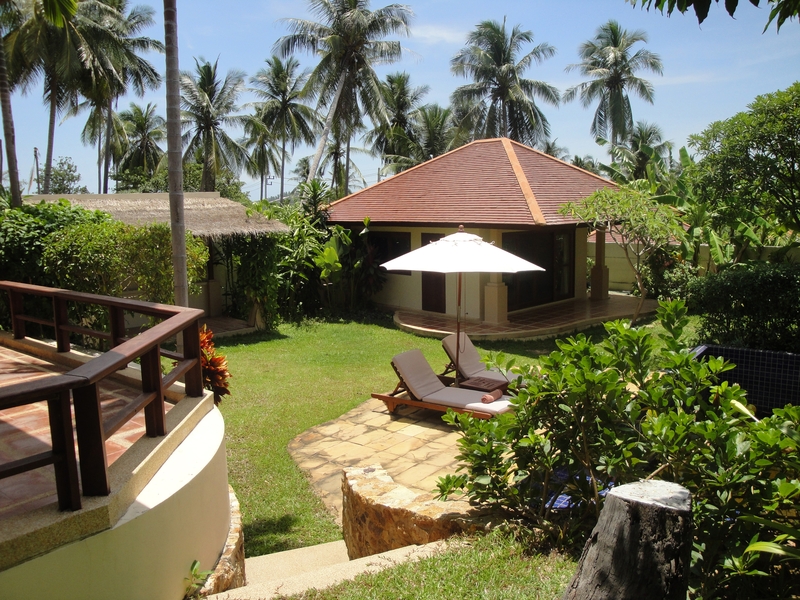 Providing a peaceful, relaxing environment, villa Som-O has three luxury-laden bedrooms. The master bedroom has an indoor bathroom as well as a private outside shower. Each of the two adjoining bedrooms comes with an en-suite bathroom. All rooms are air-conditioned and fully furnished. Each room has sliding glass doors that open out onto private balconies looking over the pool and beautifully manicured gardens. 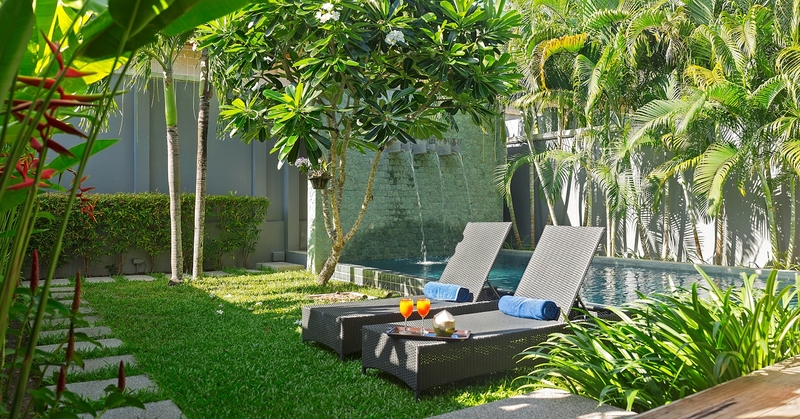 Located just 3-minute drive from the popular Naiharn Beach, Villa Aru offers a majestic ambiance blending the heavenly tranquil of its lush gardens with modern commodities. This paradise offers you rejuvenating exhales of bliss where you can enjoy an exclusive comfort paired with personalized custom made service. Villa Aru is a two-bedroom luxurious private accommodation with fully-equipped Western kitchen and a six-seater dining suite. Both spacious bedrooms come with a king-size bed and en-suite bathrooms. An enormous 8×3 meter kids-friendly swimming pool, surrounded by beautiful garden, makes it a perfect place for lazing out during afternoons and throw fabulous pool parties. This luxury mews house graciously sets amongst landscaped lush gardens in Bang Po and represents on the top family pool villas in Thailand. The wide communal area of Kalara Gardens features two infinity-edged swimming pools. Alongside the pool, there is a Jacuzzi, sala and a pool table for value-added benefits. You can have outstanding sea views over the turquoise waters of Siam and to neighboring Koh Phangan at this one of the most luxurious family villas in Thailand. All units of Kalara Gardens are set on two stories each with two bedrooms, a pool-side terrace, spacious living room, enormous dining area, and a fully fitted western kitchen. Each bedroom has its own en-suite bathroom and balcony. 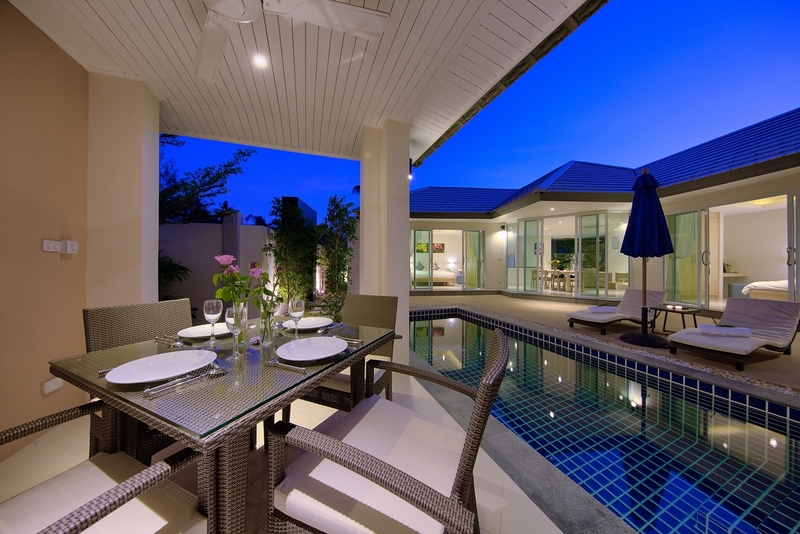 Are you looking for the best family pool villas in Thailand close to the beach and restaurant, but remains private? Yes? Then, Moonscape Villa 204 is a perfect choice. 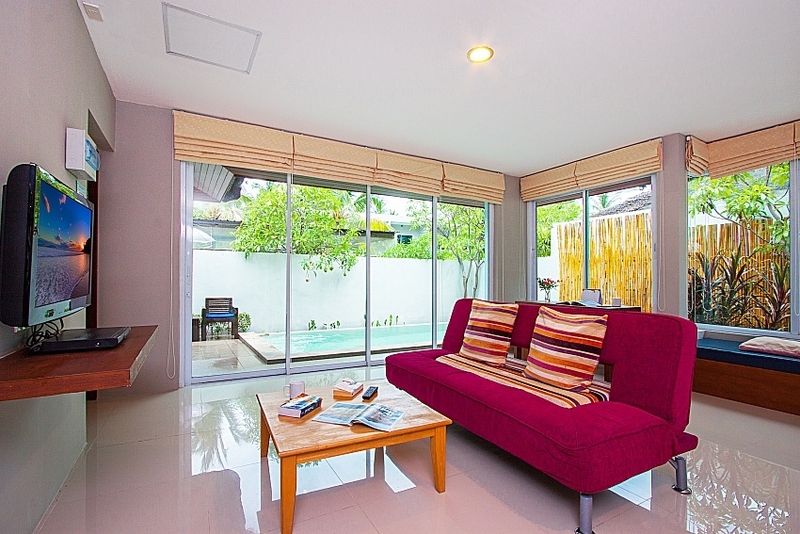 Set in Chaweng, the villa is around 1.8 km from Chaweng Beach and a 13-minute walk from Chaweng market. You’ll find a cozy garden at the villa, which is dominated by a private family swimming pool surrounded by contemporary pool furniture and garden. Two deluxe bedrooms come with king-size double beds and access to en-suite bathrooms. It is equipped with a living room, a cable flat-screen TV, and a fully-equipped kitchen. The outdoor pool remains accessible throughout the year. Surrounded by unspoiled beaches, Lipa Talay See estate allows you to capture perfect postcard images. Sunset at the villa brings some amazing and never-seen-before views in all of Asia, creating an unforgettable holiday experience for you. The spacious private family pool has access from all bedrooms of the villa. Guests can relax on the sun loungers by the pool. Both en-suite bedrooms come with a king-size bed, air-conditions, bathrooms and poolside access. 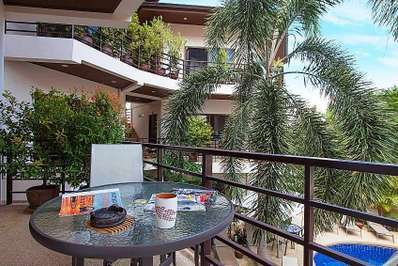 There is an open-planned living area furnished with a sofa and an LCD TV, a fully equipped kitchen, and dining area. Lipa Talay See is just right for a serene retreat away from the crowds. So, what are you waiting for? You can have your life’s most luxurious experienced with these family pool villas in Thailand (looking for more options – see all Thai villas from our portfolio here). Choose and book one or your vacations now. By the way, Thailand will surprise you with the numerous awesome & free activities you can try there – check them all in this article! These list is hella amazingggg!!! Good thing I saw your post cause I’m actually looking for a place where we can have my mom’s party next month . I just hope that we can still book one of these villa though.